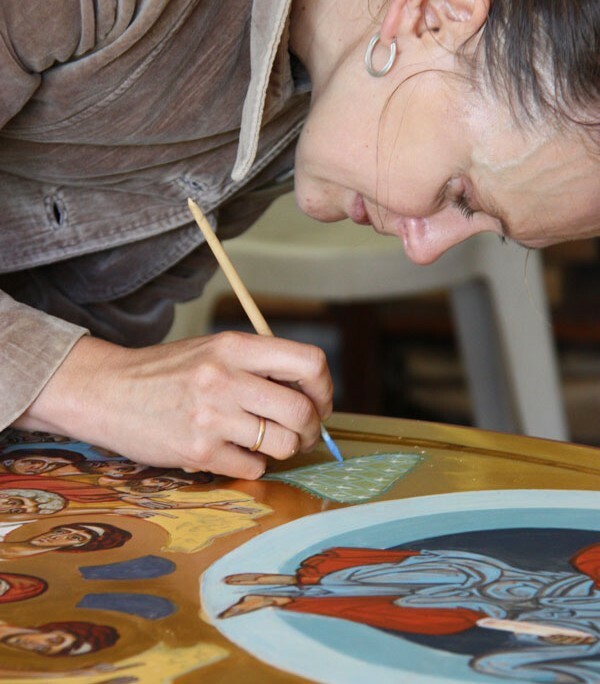 We have opened our workshop of sacred art at the Abbey of Our Lady of Dombes, where we produce icons, frescos, mosaics, enamels, and sculptures and bas-reliefs in wood. We have also worked on the interior arrangement of churches and chapels at a larger scale. 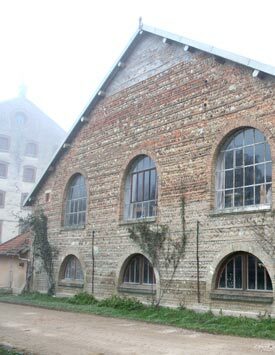 This Cistercien abbey was confided in 2001 to the Chemin Neuf Community, of which we are members, for the community to pursue a life of prayer, work, evangelisation and theological studies. The prayer, the beauty of the countryside and the community life nourish our daily work. It is in this peaceful environment that we offer training session on icons and mosaics. Our workshop is open to visits upon request. The Chemin Neuf Community, founded in Lyon in 1973, is a Catholic community with an ecumenical vocation, in which members of different Churches are members (Roman Catholic, Orthodox, Protestant, Anglican, Evangelical…). It brings together celibate men and woman, priests (through a Religious Institute) and couples, who chose to give witness together of their faith in Jesus Christ and to work for the unity of Christians, in communion with their respective Churches. The community belongs to the spiritual family of Saint Ignatius of Loyola and is a part of the charismatic renewal. Born in 1972 in Riga, of Latvian origin, she made her studies of a stylist at the school of applied art of Riga from 1988 to 1992, followed by studies at the Academy of Fine Arts of Riga from 1994 to 1999. Born in 1968 in Riga, of Latvian origin, he made his studies in wood sculpture at the school of applied art in Riga from 1983 to 1987, and then he studied painting and teaching of art at the Academy of Fine Arts of Riga from 1992 to 1998. Ruta and Kaspars married during the course their studies in 1995. Since then their principal creations have been works in common. They both studied iconography at the same time at the Monastery of Mirozka at Pskov in Russia. They have lived in France since 1999, and since 2002 have been members of the Chemin Neuf Community. 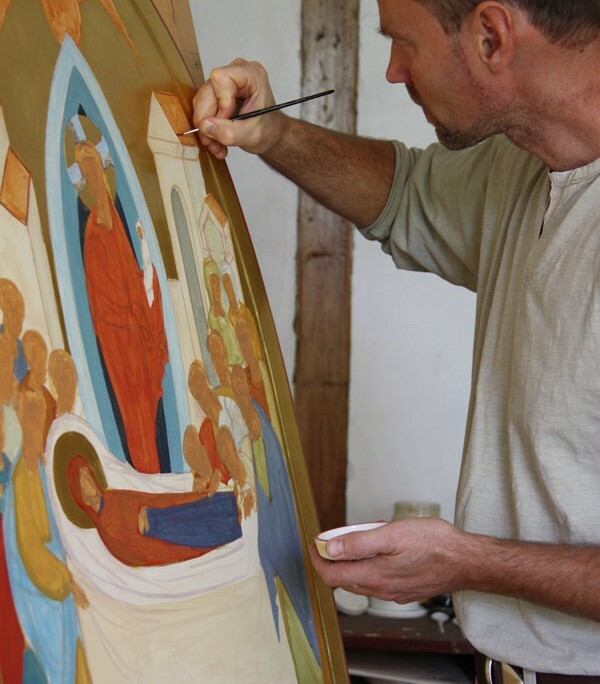 In 2002 they opened a worksop for the production of icons at the Abbey of Our Lady of Dombes. For many years these painters have been undergoing training in the making of frescos at the Saint John Damascène workshop, and have studied the production of mosaics at the workshop of Gino Rico in Italy. In addition to the numerous icons executed within their workshop, the have also produced several works of contemporary sacred art: decoration for the spectacle « Joseph and his brothers », a Creche for the Cathedral of Chartres (2002).